The good news for Kat Saechao is he’s seated next to Kelly Minkin. Bad news is, she’s got more than five times his chip stack! 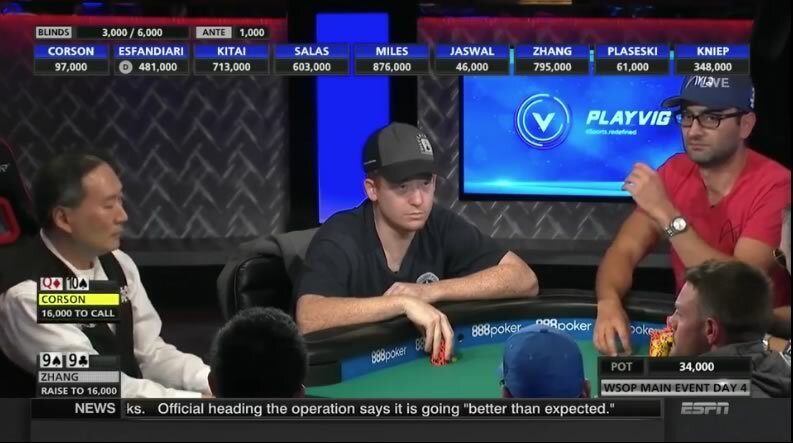 UPDATE [11:43am]: Michael Corson of Mercer Island is on the WSOP feature table (on ESPN) with Antonio Esfandiari and Davidi Kitai. The end of Day 3 saw the money bubble break. There are players with 1.6M chips and others with one chip. I’ve tried to round up all the remaining PNW players here (26, counting Jonathan) but no time for notes, there’s only 90 minutes until showtime! Players are returning in the middle of Level 16, with blinds at 3000/6000 and a 1000 ante. Day 3 of the Main Event is where it all comes together. Surviving players from all of the starting days are mixed together for the first time. Only 35% of the original entrants remain, and less than half of them (1,142) will make it to the money. Last year, there were just 18 players remaining before the money bubble after the end of Day 3’s planned five levels, and another level was added. The bubble broke after 1am, but everyone who could came back knowing they weren’t going home empty-handed. Wonka is still in as well! NOTE: The @2PokerGuys inform me that Nick Getzen (who’s a regular on their streamed cash and tournament games as “Wonka”) is also in Day 3, but I didn’t pick up his table draw because the report shows him as from Atlanta. Draw added below. Jonathan Levy has the table chip lead but there are two contenders close on his heels, including 2012 Main Event runner up (and MTV True Life star) Jesse Sylvia. 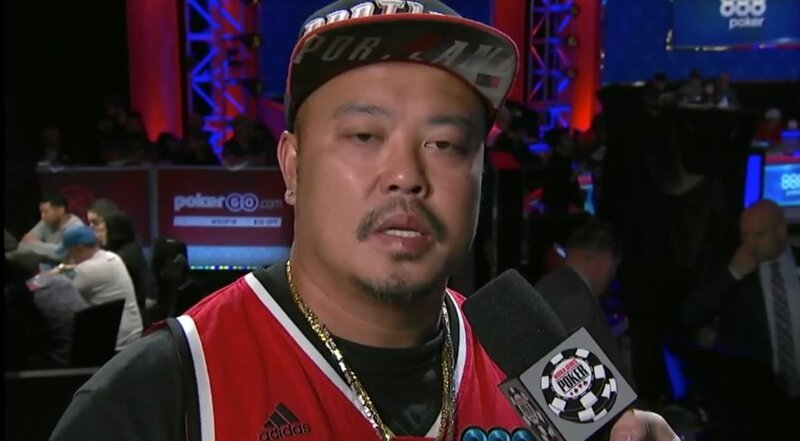 The other player with a lot of chips—Ted Lawson—is nobody to sneeze at, either, with nearly $3M in recorded cashes, a WSOPC Ring, and WSOP bracelet in Omaha. Gionni Demers placed 20th in the 2011 Main Event. Joe Brandenburg starts the day with 2014 WSOP final tablist Billy Pappas in Seat 1. Guy at my table was reported chip leader with 334k. Accidentally miscounted and actually has 184k. Welcome to the main event. Clarke Straus has WPT champs Marvin Rettenmaier and Brian Altman to take chips from. I’s do more but running out of time! Nick “Wonka” Getzen is the leader, with 2011 Main Event 6th-place finisher Eoghan O’Dea. Salvatore Bonavena won EPT Prague in 2008. Day 2C of the Main Event is a bye day for Flights A and B. Survivors from all Day 2s come together Saturday for Day 3. Day 2C starts Friday at 11am, levels remain at 2 hours each, five levels are played, and the first level is 300-600 with a 100 ante. NOTE: This is not a complete list of players, there are 77 PNW players in 2C. Right off the bat, the name that jumps out from Jacki Burkhart‘s table is Mukul Pahuja, who has more than $5M in recorded tournament earnings. Brazilian Nicolau Villa Lobos has more than $1.2M, with half of that from 2nd place in a WSOP Europe High Roller. Table chip leader Anthony Reategui has $1.6M in earnings, including two final tables so far this summer (both of the Shootout events) and a bracelet in the 2005 $1500 Shootout. Florens Feenstra has cashed for more than a million, mostly at home in the Netherlands (he won WPT Amsterdam in April). Liz Tedder‘s table isn’t quite as star-studded. Billy Pilossoph does have about million earned, including a 5th place in a WPT World Championship a decade ago. Back when I was virtually railing my old programming colleague Tomer Berda after he won his WSOP bracelet in 2010, I started to put together reports on his table draws for him, his friends, and family in the hours he was sleeping. Tomer probably didn’t need them, but I like to think they sometimes came in useful, and for non-poker followers or poker folks who just didn’t want to do their own research, it was a lot easier to put things into context. I don’t have nearly enough time this morning to do that for all the folks I’d like to today, but here are some of my fave people playing the Main Event today. Day 2AB of the Main Event is actually two different tournaments. Flights A and B do not merge until Day 3 (when Flight C also merges with them. They start at 11am, levels remain at 2 hours each, five levels are played, and the first level is 300-600 with a 100 ante. NOTE: This is not a complete list of players, there are 21 PNW players in 2A and 54 in 2B. Day 2AB of the @WSOP Main Event starts at 11am. Somehow Steve Chanthabouasy, Seth Davies, and Paul Quiring all ended up at the same table. Watch out for each other! As mentioned in the last leaderboard update, I broke my wrist on Father’s Day weekend, and it’s put a bit of a kink into my plans, not to mention my typing. Not only is this post late, but it only covers results available by 28 June 2018. 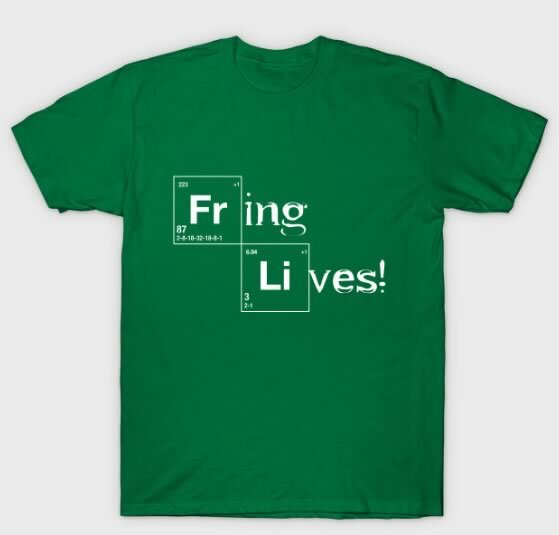 Which means there’s a lot of stuff. So pardon the brevity and I apologize if I didn’t get your results, I can only manage some of the highlights. Darrel Gallion of Stevenson had had just one cash on Hendon Mob before this summer, then he min-cashed a $250 WSOP Daily Deepstack on the 24th and got 2nd place in the same event on the next day. 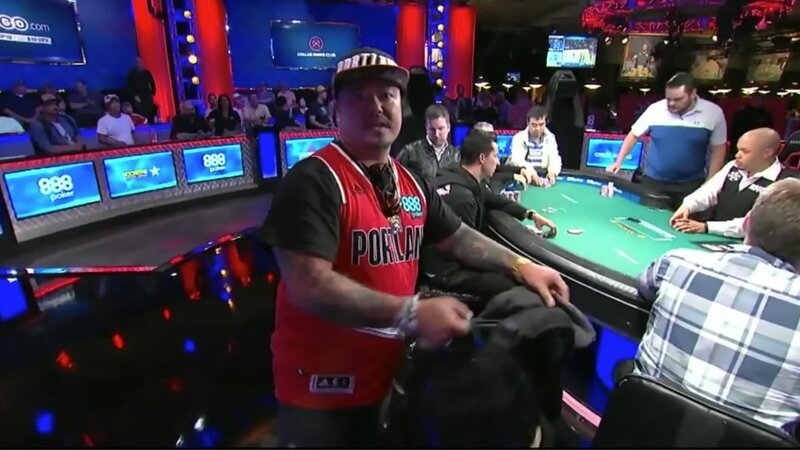 Seattle’s Laine Tanaka got 2nd in the same event a couple days earlier for his first cash. Jonathan Levy (Portland) got his second-ever cash getting official first place in a chop in an event at the Aria Poker Classic. Do not confuse him with the other Jonathan Levy. Michael Hansen (Lava Hot Spring, Idaho) got his second cash in a big way outside Vegas orbit in a may result that was only recently reported, at the WSOP WARM-UP, in Hammond, Indiana, with a 2-way chop. The single cash moves him into 640th place on the overall PNW leaderboard. 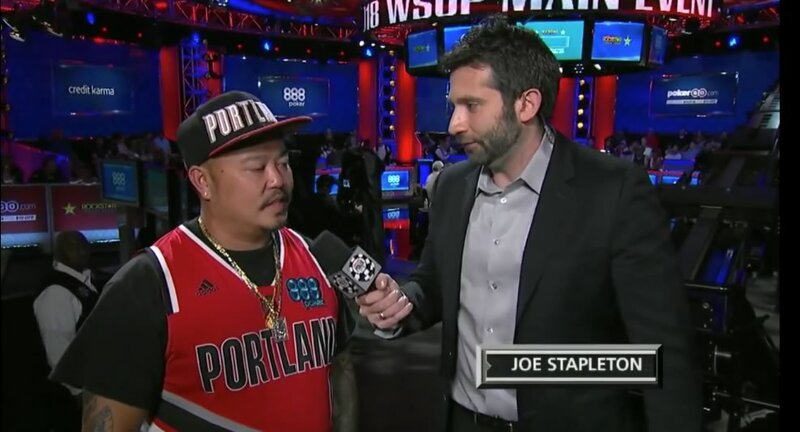 Rep Porter (#6 on the leaderboard) came close to another WSOP bracelet in the WSOP Event #43 PLO Championship for the biggest money win of any PNW player during the middle of the series. Right behind him is Salem’s own Bill Stabler, at his second WSOP Seniors NLHE final table in seven years, taking 2nd this time. He moves up to #43. Taking 5th at the same final table was another PNW player: Bill Bennet of Hoquiam. Dylan Linde continues to be the volume king, making two WSOP final tables in Event #39 LHE Shootout (4th place) and Event #43 NLHE just two days apart. Jesse Kertland of Ellensberg took 5th in the Shootout. Portland’s George Wolff is back in action, making the unofficial final table of Event #42 PLO High Roller. Kao Saechao took 2nd place in GOLIATH #28 $500K GTD NLHE at Planet Hollywood, in what looks like at least a 2-way deal. Michael York of Twin Falls came in 7th in the same event. Scott Ruegesegger of Monmouth had the biggest cash of his poker career with a win in a $250 Daily Deepstack on the 19th. Before he headed out to the WSOP, Chaz Wexler of Arlington popped into the WPTDeepstacks Main Event in Tampa to grab some money for 4th place. Arturo Davila, Jr., from Buckley, Washington, took advantage of a nearly 12% overlay in the Venetian Deepstack Championship Series #68 $800K GTD NLHE 8-Max to nab 5th place. Seattle’s Laurence Hughes won a a Wynn Summer Classic $50K GTD NLHE tournament that more than doubled the guarantee. Jeremy Harkin and his mix-game pals continue their good runs. Harkin made the final table of Event #40 Mixed Big Bet for 6th place (after winning his bracelet earlier in the series), and Jeff Mitseff took 7th in Event #50 Razz after nearly making the final (15th) in Event #46 Mixed Omaha Hi-Lo/Stud Hi-Lo. Spokane’s Sterling Lipscomb took 2nd in one of the $365 NLHE Turbo Daily Deepstacks on 23 June, then put some of that money into Event #51 NLHE Bounty for 14th place. An ICM chop in a Aria Poker Classic NLHE Seniors tournament and 7th in the Grand Poker Series #39 NLHE Seniors got Clark Watkins of Eltopia, Washington on the board this edition. Albany’s Stephen Boyd took 3rd place in the Grand tournament. Boise’s Daniel McFaul won another of the $365 Daily Deepstack NLHE Turbo events on 20 June. Steven Baker of Renton was runner-up at another Aria Poker Classic NLHE Seniors tournament in at least a six-way chop. Sand Point’s Mike Kinney was 3rd. Dan Montoya from Kennewick placed 6th in another event at Planet Hollywood GOLIATH #19 NLHE The Big Low Roller. Colin Gelker of Blaine took 4th in an event that should be near and dear to Portland players: the GOLIATH #33 Big O. This report wraps up with Jared Dairy, who’s been a constant on the rails of Portland-area players deep in the series (and online) and bagged his biggest-ever recorded cash with a win in a $200 NLHE Daily Deepstack with nearly 300 entries.